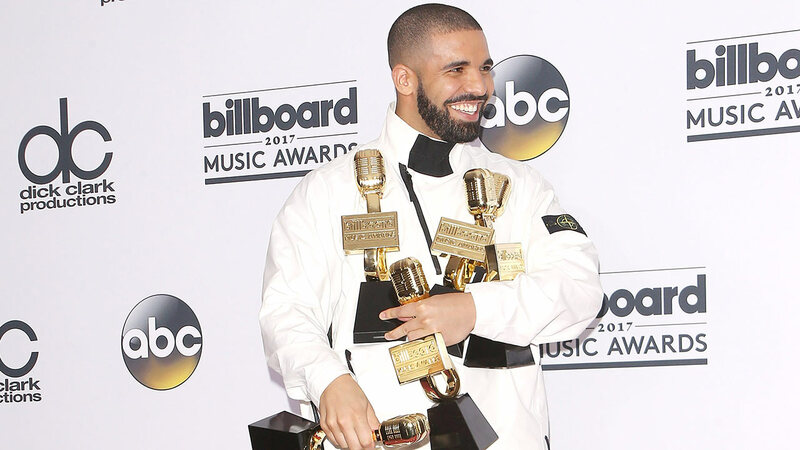 It was Drake’s day at the 2017 Billboard Music Awards when he took away 13 awards and surpassed Adele as the artist to become the artist to notch most BBMA wins in one night. The Icon award went to Cher who evoked nostalgia with a high pitched version of her iconic song “Believe” and “If I Could Turn Back Time. Drake also won the Top Hot 100 Artist, awards for song sales, song streams, several rap and R&B categories among his 13 awards. The best female artist award went to Beyonce while the Top New Artist award was won by Zayn. This year the show which went on for three hours was thankfully focused on performances and awards rather than hosting gimmicks and punches. The 15 performances tried to include all forms and genres of dance, pop, rock and country music. The event opened with a stunning medley by Nicki Minaj which included Remy Ma diss track “No Frauds”. This was followed by Cyrus’ country-tinged comeback release “Malibu” at the end of which the crowd was showered with hundreds of rainbow colored balloons. Camila Cabello and Miley Cyrus gave live performances on their new singles with Cabello giving his first individual performance after parting ways with Fifth Harmony which included “I Have Questions,”Crying in the Club,”. The show was hosted by Vanessa Hudgens, her first year as a co-host along with BBMAs host Ludacris. Celine Dion stole everyone’s heart with the soulful rendition of her iconic song from “Titanic” “My Heart Can’t Go On.” It is twenty years since the blockbuster Leonardo DiCaprio-Kate Winslet film Titanic hit the screens and the song evoked nostalgia and still melts everyone’s, heart. The stage was also taken by Diddy who paid rich tributes to the Notorious B.I.G. and also introduced upcoming Bad Boy Records documentary Can’t Stop, Won’t Stop.